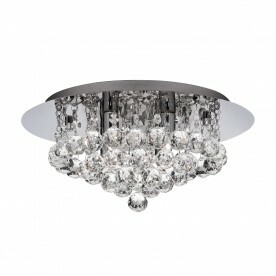 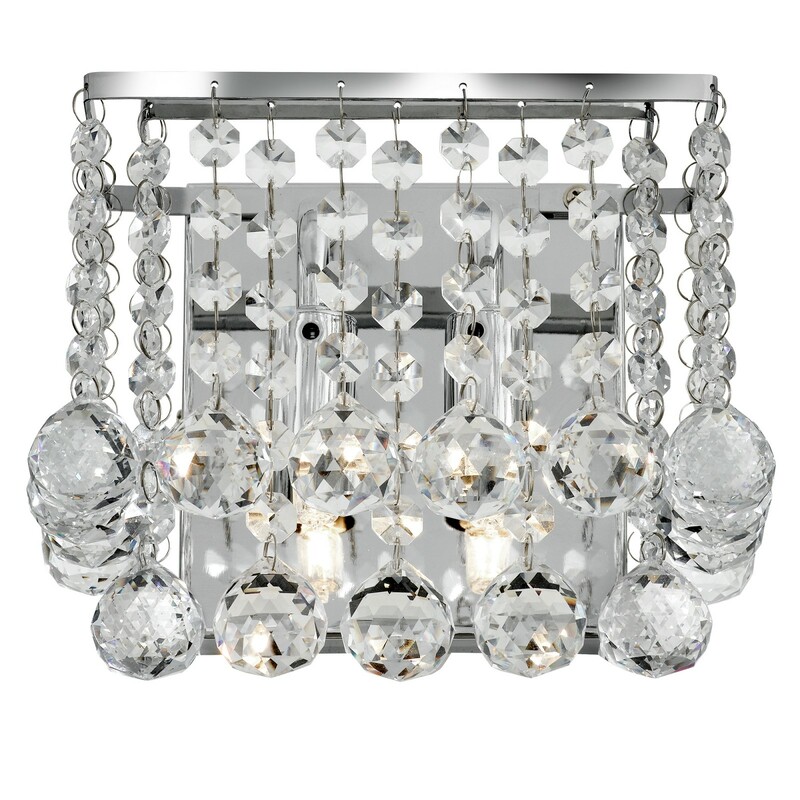 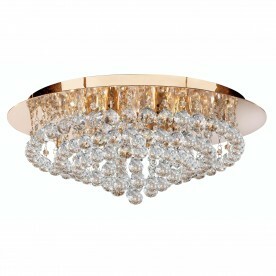 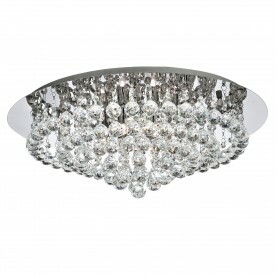 This Hanna 2 Light Square Wall Bracket with Clear Crystal Balls looks beautiful on any wall. The luxurious fitting features two lamps surrounded by cascading crystal buttons and balls, which hang decadently from a sleek chrome square. 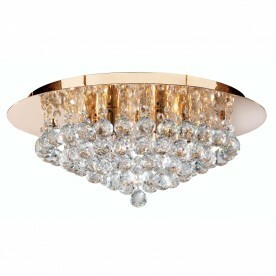 This modern fitting looks beautiful in any bedroom, living room, dining room or kitchen, by day or night.